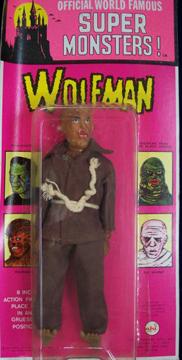 Below is a short "Who's who" in the world of 8" figures produced by companies other than Mego. 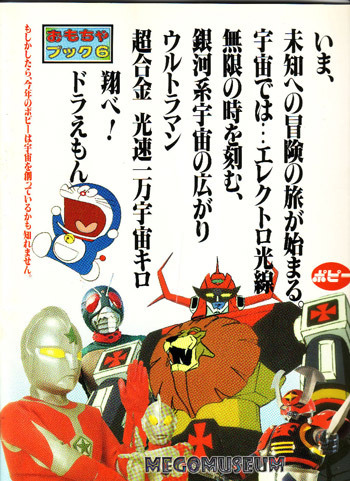 These are just a handful of the many examples out there, for more detailed information, consult the links section below. 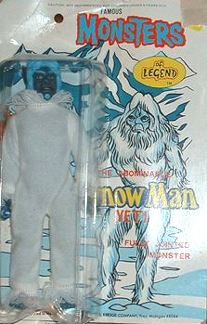 Ideal was famous for creating the "Captain Action" character of the 1960's that gave children their first Superhero action figure. 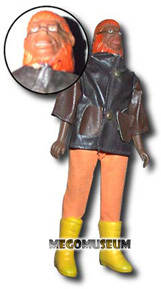 Ideal produced the Evel Knievel and JJ Armes line in the mid 1970's. 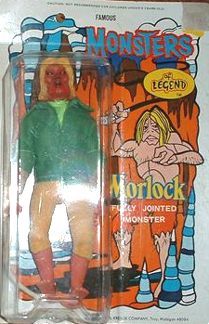 JJ utilized a retooled Action Boy body while Evel was more a glorified Bendy. 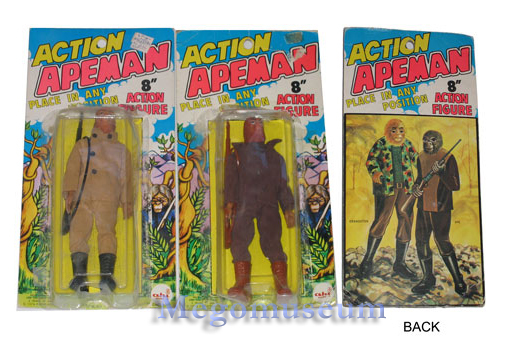 For more information on these figures check out Megolike.com for figure galleries and Azrak Hamway.com for extensive toy galleries and vintage catalogs from the company. 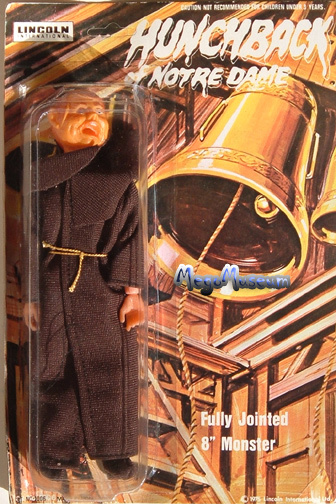 Lincoln International was apparantly out of New Zealand (This tidbit courtesy Laurie) and eventually they did distribute Mego figures internationally. For more information on these figures check out Megolike.com for figure galleries and PlaidStallions Lincoln Monster Website.. 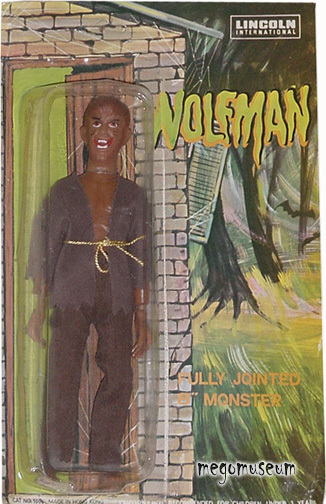 In the mid 1970's Lincoln produced a series of Monster dolls similiar to AHIs but with a more generic slant. 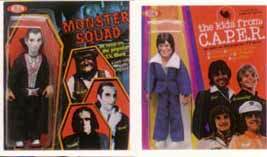 Difficult to find today, the Lincoln Monsters were available carded in North America and boxed in the UK. 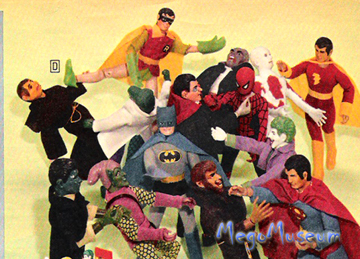 Many Mego fans will recognize these characters from their awesome "duke out" with the Superheroes in the 1976 Wards catalogue. 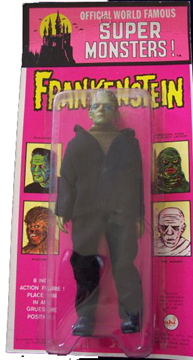 There are actually variations in the Lincoln Monsters, the carded ones above are considered "UK Versions" because of changes in their outfits and paints. 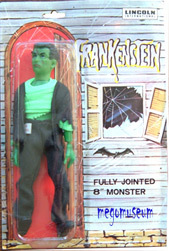 Frankenstein for example was originally a flash coloured haed spray painted Green, not the solid green pictured above. 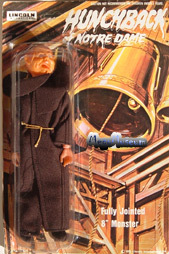 For more pics of Lincolns packaging and figure variants, see the links at the bottom of the page. 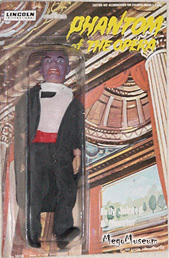 Lincoln also created the Ultimate Mego knockoff in Mr.Rock, their "all too familiar" Space Man. 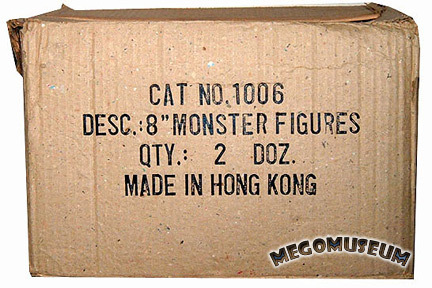 An original Lincoln Monsters shipping case, only two are known to exist. 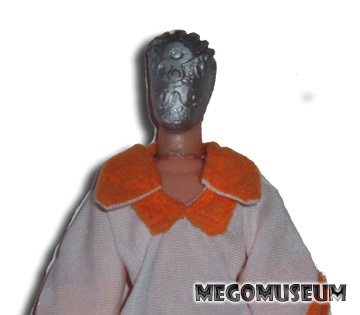 Lou Melograna was kind enough to provide us with a great pic of Dr Zorma, Lou runs the "Collectible Action Figure Gallery" (see link below) the authority on Mego-Like and knockoffs. 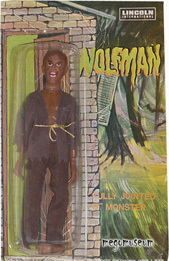 LJN made a great deal of 8" product in the mid seventies, capitilzing on popular TV licenses such as SWAT, the Rookies and Emergency. 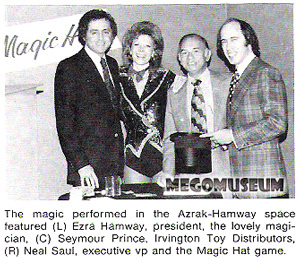 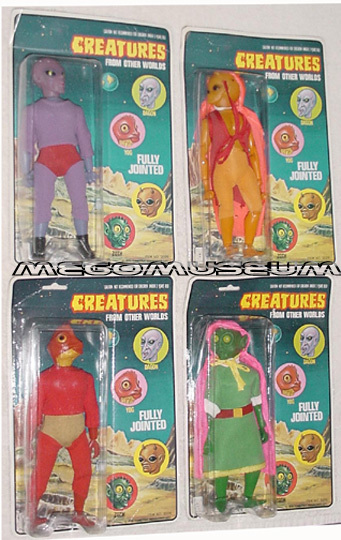 Their figures are well made and Mego even tried to buy LJN at one point. 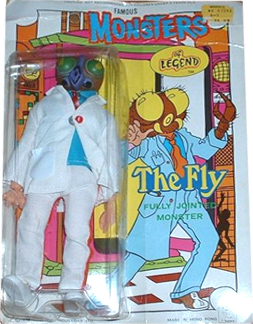 The Fly is very difficult to find in a White labcoat, he is more commonly found in a brown labcoat. 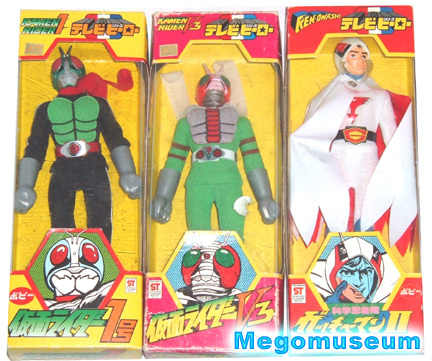 The cards are often marked "Kresge" which is not unlike the Mego Kresge cards. 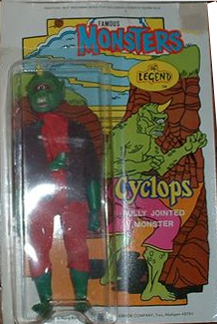 Carded Tomland "Creatures from Other Worlds" Figures are courtesy of Mego Super Collector Dan Crandall. 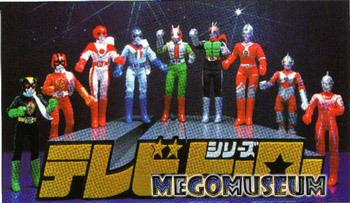 Click on the pic to get a larger view of these figures. 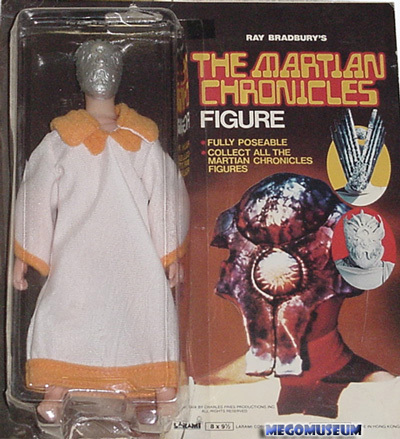 Creatures FORM other Worlds? That's high quality! 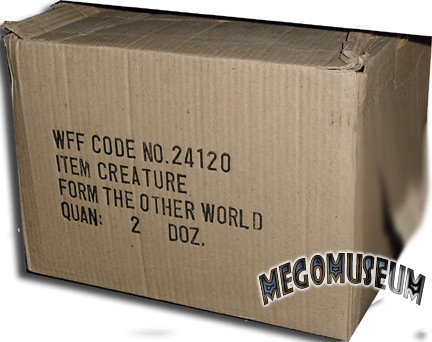 This super rare glimpse of an original shipping case is brought to you by Dan Crandall and is the only known example in the world. 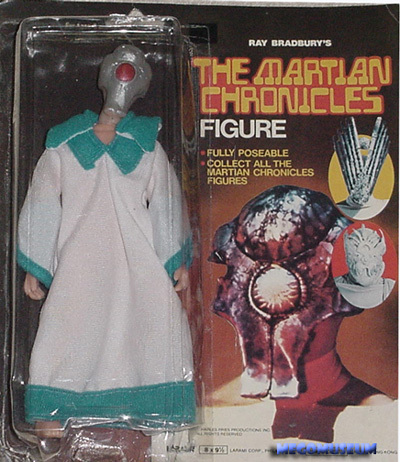 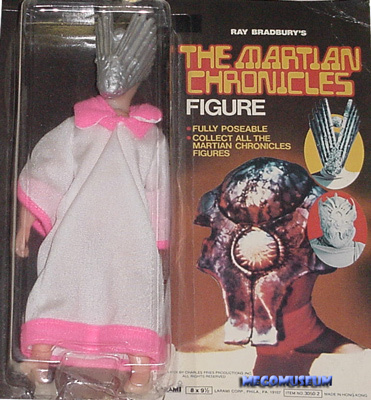 Larami was well known for "rack toys" such as Water Pistols and licensed superhero items (usually of a low price point) In 1979, they decided to captilize on the Sci FI fever by getting the license to Ray Bradbury's "The Martian Chronicles" mini series (which starred Rock Hudson). 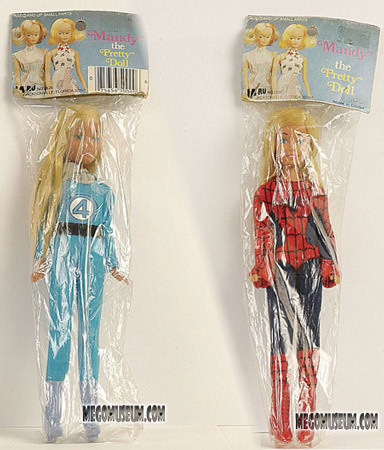 Often unmarked, these toys from Hong Kong have utilize what is obviously left overs from the Mego factory such as the Mandy dolls above that are wearing left over Mego Superhero suits. 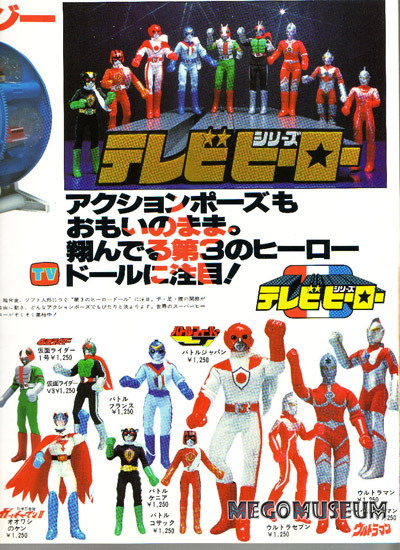 Popy was a Japanese company that actually carried Mego product (they produced Japanese boxed versions of Spiderman, Batman and Superman) Popy created their own Mego like body and produced 8" Mego like versions of Japanese Superheroes such as Kamen Rider, Ultraman, Gatchaman and the Battle Fever gang. 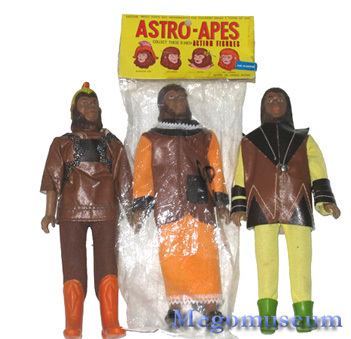 The packaging was similiar to their Mego releases and Popy even copied the WGSH boots but the bodies are completely different. 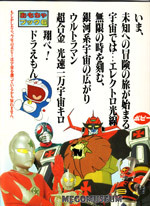 The suits on Ultraman and Ultra Seven are easily damaged. 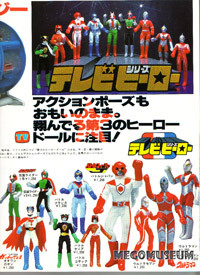 New to the Museum, is the original Popy Catalog (courtesy of Joe Derouen) click on the thumbnails for better pics of Ultraman and crew. 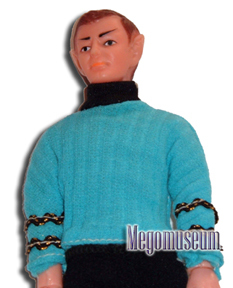 This is merely the tip of the iceberg when it comes to Mego-like product, below are the best sites on the web for finding more information on Remco, AHI, Lincoln and many more produers. 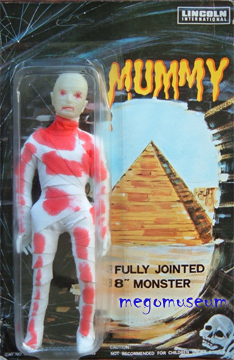 PlaidStallions is a website devoted to the seventies and uses many toy catalogs, of particular note is the extensive Azrak-Hamway Section which includes many rare catalogs and the gallery devoted to the Lincoln Monsters. 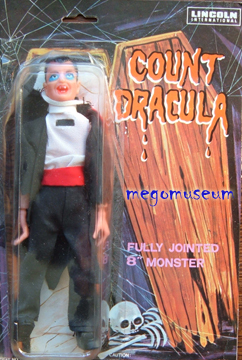 I won't lie, it's my site. 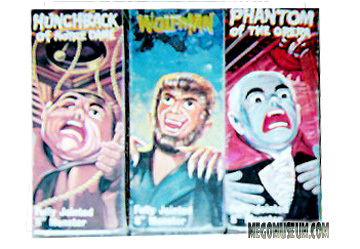 Megolike.com is run by the angriest man in Toys! The CAFG is a sanctuary for knockoffs, there is no toy too cheap or ugly for Lou not to love. 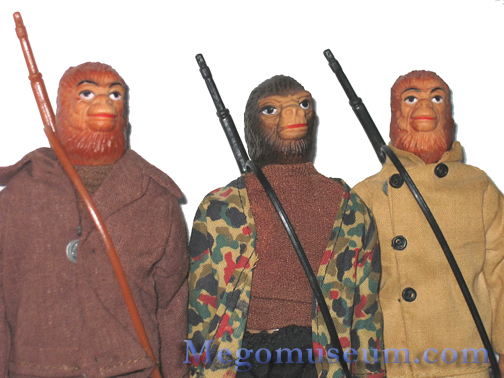 The site is regularly updated and well worth a look.